Wharton-Smith Participates in the ARC "Sound the Alarm" Event | Wharton Smith, Inc.
Charlotte, NC – April 27, 2018 – Charlotte Commercial team members—Bret Estridge, Andrew Miller, and Malina Dana— participated in the Sound the Alarm event for the American Red Cross (ARC). During the event, teams of volunteers installed 100,000 free smoke alarms in more than 100 cities across the U.S. According to ARC, seven people die in home fires every day, most in homes that lack working smoke alarms. Sadly, children and the elderly disproportionately lose their lives. 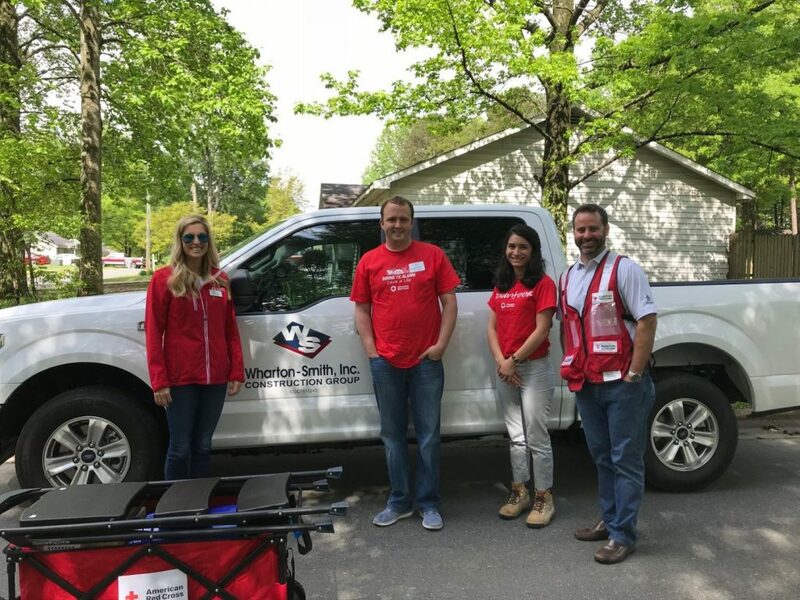 Together with the Red Cross, fire departments and other community partners, our Wharton-Smith volunteers visited 50 homes in a three-hour period. They installed smoke alarms, replaced batteries in existing alarms, and provided fire prevention and safety education. “Having the opportunity to go into these neighborhoods, talk with residents and do something that you know might save their life is an incredible thing,” said Bret. “That’s why I am honored to represent Wharton-Smith on the ARC board for the Western Region of the North Carolina Chapter,” he added.